Type T (copper-constantan) thermocouples are suited for measurements in the −200 to 350 °C range. Often used as a differential measurement since only copper wire touches the probes. Since both conductors are non-magnetic, there is no Curie Point and thus no abrupt change in characteristics. 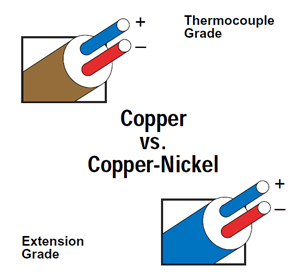 Type T thermocouples have a sensitivity of about 43 µV/°C.